Apply under the hood and headliner to reduce road noise and heat. 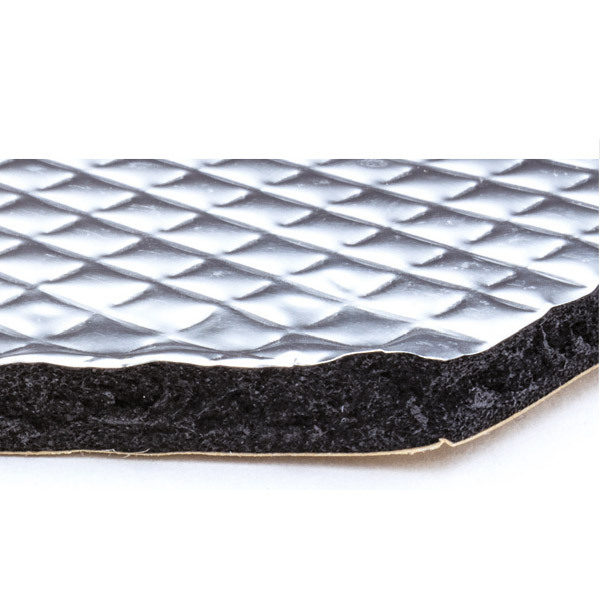 Eliminate road noise, body panel vibration and excess heat from your vehicle! 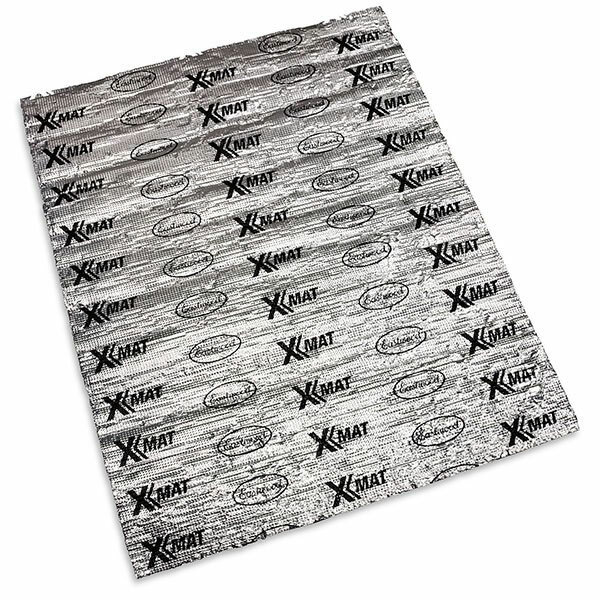 Eastwood's X-MAT® Products lead the way in automotive sound control and heat abatement technologies.X-MAT® is engineered for both classic and late model vehicles to accommodate the needs of today's demanding environments. X Mat Underhood and headline Mat is perfect for outer paint protection, heat absorption as well as reducing rattles and road noise. Maximum temperature 350℉, reduces heat by as much as 105℉ and a decibel reduction as much as 8 db or 9%. Easy to cut and contour and the strong adhesive back ensures they will stay in place for years to come. 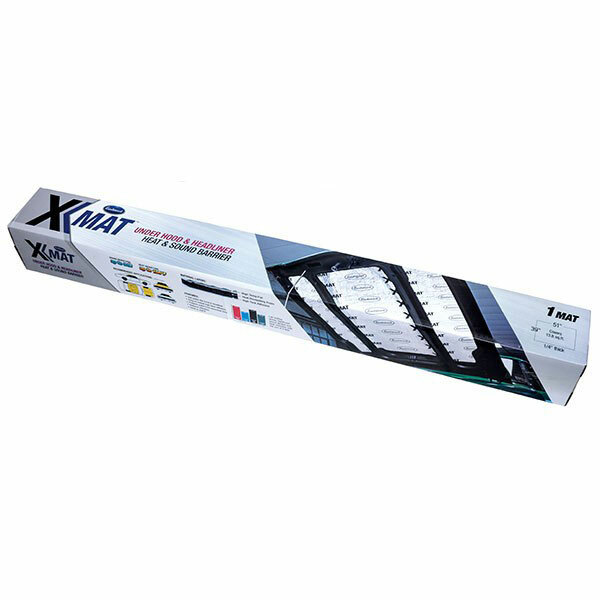 Includes 1 sheet 51In. x 39In. x 1/4In. Always wear gloves and eye protection when cutting and installing this material. This video goes over the X-Mat product series, which includes a number of specialized products that will help keep your ride cool and quiet! Simple installation - great results! I had to take the interior out of my '94 GMC Yukon due to some other work. With the headliner out, that expanse of bare sheetmetal just begged for attention. The X-Mat cut easily with scissors and wasn't a problem to install by myself. Just peel back the backing along an edge, press it firmly to the sheetmetal, and then slowly pull the rest of the backing off and press it in place. With the diesel engine, the Yukon had a fair amount of resonance and vibration before the X-Mat installation and that is now gone. 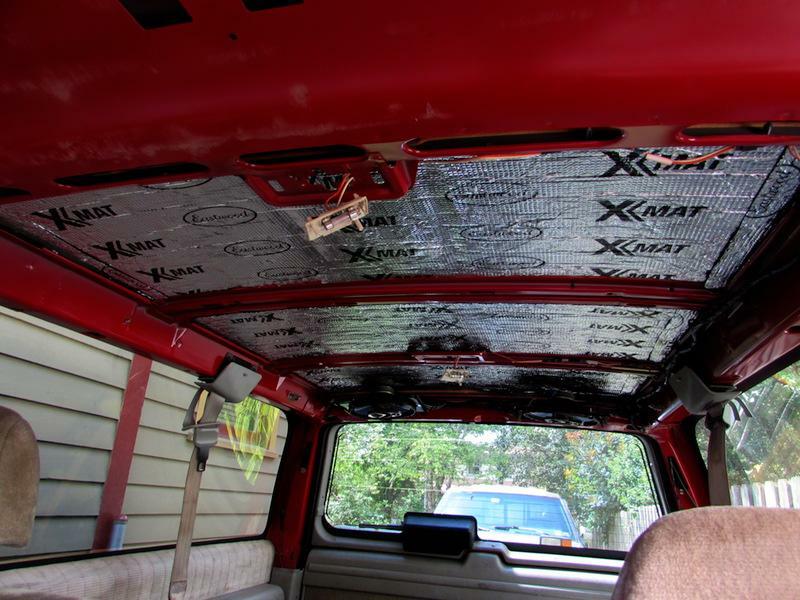 I replaced my fiberglass original headliner insulation. This product fits much better and keeps my car quieter. Application was easy, haven't gotten to actually test it ( hence 4*) since I'm doing a frame off but sure it will.